Unfortunately, I’ve come down with something nasty and have to postpone this book signing. Thanks to everyone who said they’d come out. I’m hoping to reschedule and will let you know when I have a new date. 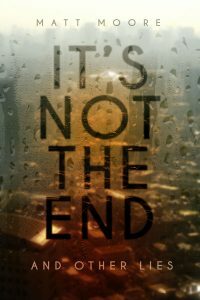 I’ll be signing copies of my book It’s Not the End and Other Lies at the Barrhaven Indigo in Ottawa, ON on August 19. Please come by and say “hi”. Better yet, come by and buy a book! You can let me know you’re planning on coming by responding to the Facebook event.